16/07/2011 - Edoardo Liberati (Team Ghinzani) confirmed the supremacy shown in collective tests and free practice obtaining his third pole of the season in the third round of the Italian Formula 3 2011 Championship in Imola. Thanks to a fastest time of 1´41.152, at an average speed of 174,711 km/h, the Italian driver secured all the pole positions of this season opening but in this case rivals are all relegated to almost four tenths. The French Maxime Jousse (BVM-Target) was 390 thousands shy Liberati and was the fastest of the rookies , followed by the American Michael Lewis (Prema Powerteam) at 507 thousands and Sergio Campana at 582. The BVM-Target driver, that in the previous rounds always secured the second position behind Liberati, was stuck in the traffic in his best attempt run on the second set of tyres. 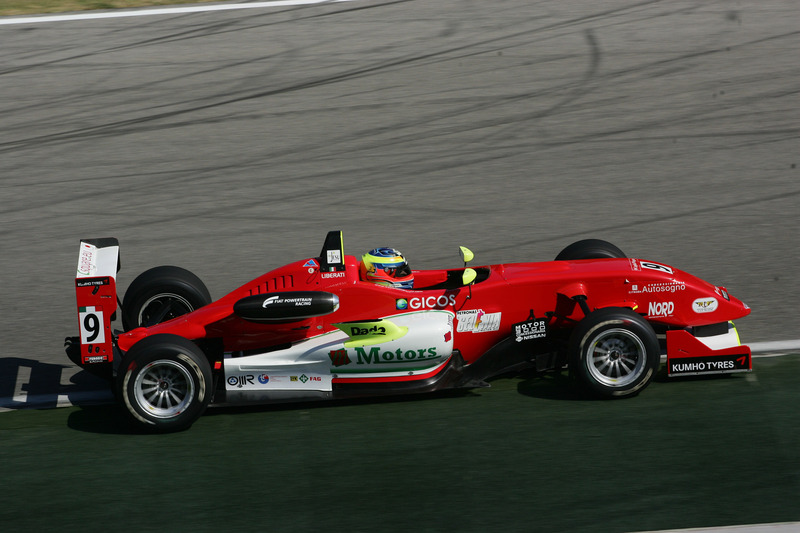 The Argentine Facu Regalia (Team Ghinzani), was fifth and led the three rookies all within 8 hundreds of a seconds composed by the French Brandon Maisano (BVM-Target), at his best performance in qualifying as Regalia, and by the Swiss Lello Marciello (Prema Powerteam) at 28 thousands from his fellow-pupil of the Ferrari Driver Academy. Kevin Giovesi (BVM-Target) completed the top 8 in eight tenths and proceeded the Brazilian Victor Guerin (Lucidi Motors) and Andrea Roda (Prema Powerteam). The appointment is now with the two races scheduled for this afternoon at 16.05 (local time, GMT+2) and tomorrow at 10.10.